A well functioning heating and cooling system in your home and office can make a huge difference in creating a comfortable environment indoors. At Creighton Laircey, we understand the significance of having a cost-efficient and fully functional HVAC and thus, our team of members ensure that they deliver best to ensure you live in a clean and comfortable environment. Since 1972, we have been actively serving the industry with a huge base of satisfied customers. There’s no substitute for a cost-effective and efficient air conditioning system to beat long summer months. The experts at our company will make sure that your system is installed and/or repair in a perfect manner to match the specific needs of your property. We also provide comprehensive maintenance services for all large and small projects. 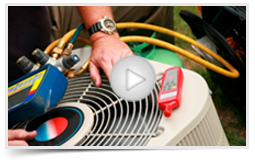 When installing a new air-conditioning system, property owner are not looking for just any air-conditioning unit. At Creighton Laircey, we understand this need and strive to deliver services customized for different clients at different point of time. If you are looking for a system that fits both your demands and budget, then we have the answer for it. Our experts can help you find the right air-conditioning system and they’ll also make sure that it is installed in the right way so you get the maximum benefit. Winters can be freezing and unbearable for residents of Augusta. We understand the need to have a warm and cozy indoors. To prevent you from the harshness of inclement weather, our experts make sure that their installation, repair and maintenance service deliver best comfort for you and your family. Heater replacement augusta is one of our specialities. .
Our experts are familiar with the challenges of staying warm inside without spending heavy amount of money. Thus, we promise to deliver best system for your home and office. Our team will also maintain and repair as per your needs to ensure it always works when you need it to. Keeping the air-quality high in your home and office is a real priority, and the experts from Creighton Laircey are here to help. We offer a comprehensive system for installation, repair and maintenance services for all kinds of indoor filters, air cleaners, purifiers, and UV germicidal lights. As your HVAC system ages, it starts losing its efficiency and might even stop working altogether. At Creighton Laircey, we strive to deliver highest level of quality and trust in repairs and maintenance. All the projects undertaken are performed by well trained and highly experienced contractors. We offer Energy Star rated systems that allow you to save up to 35% on heating costs. We also make sure that you and your family breathe in air that is fresh and pure. We specialize in indoor air-quality solutions and regarded as expert in the industry at refining your home to assure higher-quality air intake. In order to optimize the air quality, we work by delivering the most possible level of ventilation and modify them as per the current requirements of your property to ensure optimal air-flow. Irrespective of the type of heating and air conditioning service you’re looking for, the professionals at Creighton Laircey can get the job done right for you. With years of experience and expertise, we guarantee to deliver high-end quality and competitive price. With us you’ll never regret your decision for heater replacement augusta. We’ve been serving the industry for many years, all the while delivering top notch service with professional courtesy. For your queries and guidance call us today and learn more about what we can do to keep you comfortable indoor all year long. We proudly serve clients in the following areas in the greater Augusta area and across the CSRA.